So here we are, at the first Marvel Cinematic Universe film after that completely bananas cliffhanger at the end of “Avengers: Infinity War.” And while “Ant-Man and the Wasp” largely takes place prior to the war with Thanos (Josh Brolin), it does eventually catch up to the finger snap and ends on a cliffhanger of its own. Technically, the entire film goes by without so much as a mention of any kind of invasion by the Black Order and their forces — it’s only in the mid-credits scene that “Ant-Man and the Wasp” gets its explicit tie to the MCU’s greater conflict. In that scene we see that Hank Pym (Michael Douglas) and the newly rescued Janet van Dyne (Michelle Pfeiffer) have seemingly shrunk down the quantum tunnel device so that a single person can travel through it. And that single person, in this instance, is Ant-Man (Paul Rudd) himself, who is heading down to the Quantum Realm to collect “healing particles” for Ghost (Hannah John-Kamen). But while Ant-Man is down there, the climax of “Infinity War” finally occurs — and Janet, Hank and Hope (Evangeline Lilly) are all turned to dust. Ant-Man survives, but is now stuck in the Quantum Realm. This is the first time such a concept is mentioned, though both Janet and Hank have discussed the fact that time does not work the same way in the Quantum Realm as it does in the normal world. But we have not seen any sort of demonstration of any real time weirdness. A so-called “time vortex,” however, would certainly fit that bill. That said, it’s tough to guess what exactly a time vortex is or how it works. Presumably, it would make an object or person sucked into it travel through time. The big question is what else it does. Would a person sucked through a time vortex stay in the Quantum Realm? We would guess not, because in theory any time you move while you’re in the Quantum Realm you would be time traveling. It’s also doesn’t really change the situation much storywise if Scott is able to travel in time in the Quantum Realm — but stays stuck in the Quantum Realm. A time vortex that transports Ant-Man to another point in time and space — probably the past — would be convenient for the goings on of both “Avengers 4” and “Captain Marvel.” First, we know Captain Marvel (Brie Larson) is a big deal for the story of “Avengers 4,” because Nick Fury (Samuel L. Jackson) uses his last moments on Earth to contact her for help in the “Infinity War” post-credits scene. We also know for sure that “Captain Marvel” is set in the 1990s, so if Ant-Man was to wind up in the past, it would easily track for him to pop up in Captain Marvel’s story. Captain Marvel acting on info about Thanos in the future would make sense, actually: She hasn’t been a part of the Marvel Cinematic Universe up to now, and finding out that Thanos was coming and that she would need some way to counteract the Infinity Stones, or otherwise stop him, would give her a good excuse to leave Earth and go in search of knowledge or a weapon of some kind. That would explain her absence between the 1990s and 2018. Another possibility: Ant-Man’s time travel could directly affect the story of “Avengers 4,” giving the Avengers a new path to victory against Thanos. Since it’s clear that even big bands of superheroes were unable to stand against the Mad Titan at full strength, time travel might give them an opportunity to undo the ending of “Infinity War” by beating Thanos before he had an army or the Infinity Stones. That could potentially stop “Infinity War” from ever happening. Even just a warning from Ant-Man about what’s coming could massively alter the timeline. We know that Thanos was on the scene even as far back as “The Avengers,” so presumably time travel could alter much of the MCU. Of course, the issue as it stands right now is that Scott does not know what happened up in the normal world — he’s just stuck down there in the Quantum Realm clueless about the war. 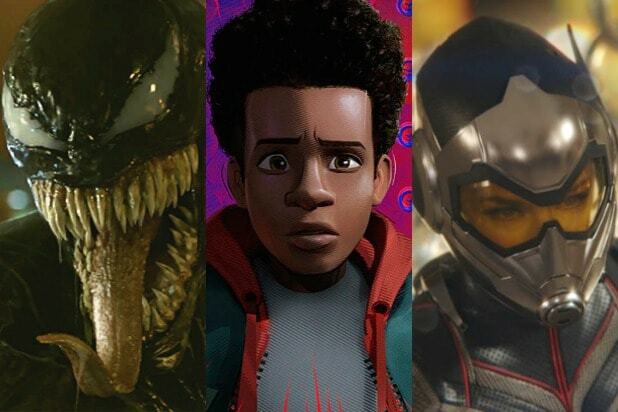 “Avengers: Infinity War” changed everything for the Marvel Cinematic Universe, and we have some ideas about how “Ant-Man and the Wasp” could be setting up “Avengers 4.” Read this for some ways Ant-Man’s potential time travel adventures could impact both of next year’s big MCU films. 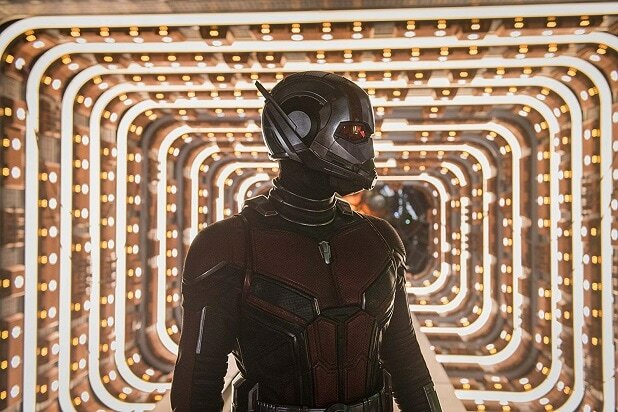 Check out our speculation on how Ant-Man could pop up in “Captain Marvel.” For a look at how we think “Ant-Man and the Wasp” links “Infinity War” to “Avengers 4,” click here.There are also quite a few lingering questions from “Ant-Man and the Wasp,” which we explore here.